The National Association for Music Education (NAfME) is the only national professional organization that addresses all aspects of music education. Its more than 130,000 members represent all levels of teaching from preschool to graduate school. Since 1907, NAfME has worked to improve the lives of America's young people by promoting access to a balanced, comprehensive, and high-quality program of music instruction taught by certified and qualified teachers. The state chapter of NAfME, The Rhode Island Music Education Association (RIMEA) was founded in 1915, making it the second oldest state music association in the country. 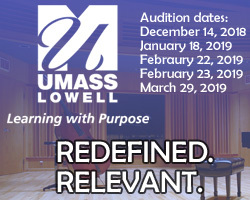 We are proud to be able to continue the tradition of providing a variety of music opportunities for the students and music educators from all over the state of Rhode Island. As NAfME represents the nation's music educators, RIMEA represents the state music educators in a more personal and intimate manner. RIMEA is a non-profit organization that plays a significant role in representing all phases of music education in the schools, colleges, and universities within the state of Rhode Island.